All File to All File Converter 3000 helps you easily batch convert among any file format like PDF, Microsoft Word, Excel, PowerPoint, TEXT, HTML, JPEG, GIF, TIFF, Flash video etc with high output quality and fast conversion speed. It supports a lot of formats: pdf, doc, docx, docm, xls, xlsm, xlsx, ppt, pptx, pptm, txt, rtf, htm, html, url, jpg, jpeg, tga, bmp, rle, png, emf, wmf, gif, tif, flv, swf etc. Take All File to All File Converter 3000 for a test drive to see what it can actually do for you! · Support the encrypted PDF conversion. · Do not need any print driver and Adobe Acrobat software. · Convert PDF to HTML to make PDF indexed, available on the internet with preserve original layout, links, bookmarks, images, vector drawings of your pdf file. · Support add the entire folder to convert. · According to the image size of FLV/SWF, automatically stretch/shrink image size. · Support Flash6 format compression to compress the output file size. · Provide the watermark image settings and watermark character string settings. · Provide user-defined HTML,URL framework settings for you. · Capture the whole web page's content (including Flash) into GIF on the fly. · Precise control the output quality with user-defined parameters settings. · Support resize the output file. · If you do not have time to convert the files of list now, you can save the converted list to your computer. Do not need to load every file again. · Have the option to auto open the output folder when conversion finished. · User-friendly interface, very easy to use, just a few clicks can finish the conversion. You cannot download any crack or serial number for All File to All File Converter 3000 on this page. Every software that you are able to download on our site is legal. There is no crack, serial number, hack or activation key for All File to All File Converter 3000 present here. Our collection also doesn't contain any keygens, because keygen programs are being used in illegal ways which we do not support. All software that you can find here is freely downloadable and legal. 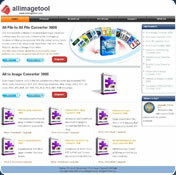 All File to All File Converter 3000 installation package is prepared to be downloaded from our fast download servers. It is checked for possible viruses and is proven to be 100% clean and safe. Various leading antiviruses have been used to test All File to All File Converter 3000, if it contains any viruses. No infections have been found and downloading All File to All File Converter 3000 is completelly problem free because of that reason. Our experts on malware detection tested All File to All File Converter 3000 with various spyware and malware detection programs, including fyxm.net custom malware and spyware detection, and absolutelly no malware or spyware was found in All File to All File Converter 3000. All software that you can find on our servers, including All File to All File Converter 3000, is either freeware, shareware or open-source, some of the software packages are demo, trial or patch versions and if possible (public domain licence), we also host official full versions of software. Because we want to be one of the fastest download sites on the web, we host all the software including All File to All File Converter 3000 on our servers. You cannot find here any torrents or download links that would lead you to dangerous sites. Rate All File to All File Converter 3000 7.3!